Last year, the public was hit by a media barrage touting an amazing Egyptological find: a long-neglected mummy was none other than the famous queen Nefertiti. The identification was promoted in the Discovery Channel's two-hour documentary "Nefertiti Resurrected." According to a Washington Post article, 5.5 million viewers tuned in to the documentary when it aired August 17, 2003, putting it in the top ten programs ever for the cable channel. Due out in October, The Search for Nefertiti: The True Story of an Amazing Discovery (William Morrow & Co., $25.95) is the American edition of a companion book to the documentary. Here's how the publisher sums it up: "After years of intense research, Dr. Joann Fletcher has answered the questions countless researchers before her could not. While studying Egyptian royal wigs, she read a brief mention of an unidentified and mummified body, discovered long ago and believed to belong to an Egyptian of little importance...to the astonishment of her colleagues she identified this body as the missing remains of Queen Nefertiti." Author Joann Fletcher's identification probably did astonish her colleagues when it was announced in a June 9, 2003, Discovery Channel press release. Few Egyptologists accepted that the mummy, found in a sideroom of the tomb of Amenhotep II is that of Nefertiti, the wife of the late 18th Dynasty pharaoh Amenhotep IV/Akhenaten. 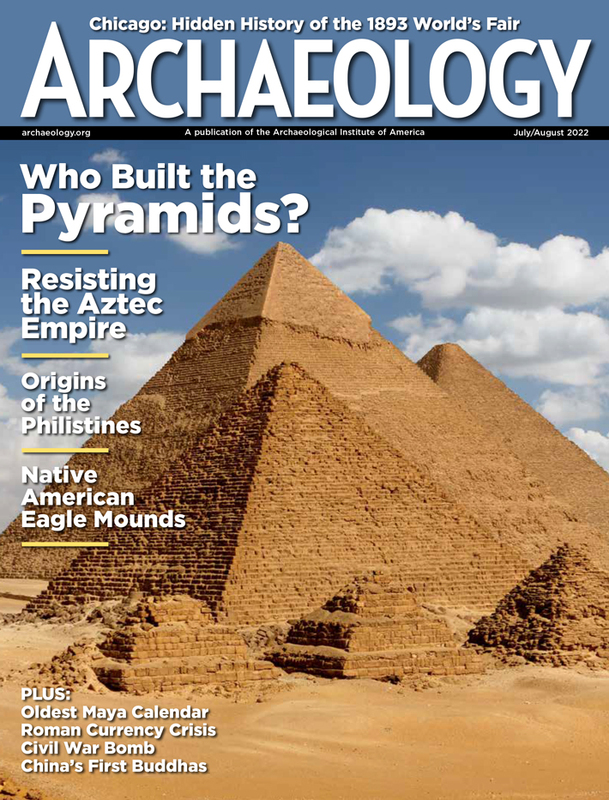 In short order, Susan E. James--who had earlier proposed another mummy might be Nefertiti--picked apart Fletcher's evidence in the pages of the journal KMT (fall 2003 issue). And, following the broadcast, Barbara Mertz wrote to the same journal (winter 2003-2004) about "the notorious television special which should have been titled 'Nefertiti Re-invented.' It surely reached new heights--or depths--of misinformation, sensationalism and really tacky costuming. Dr. Susan James's article in the fall issue was a good summary of the evidence, most of which flat-out contradicts the conclusions drawn by Dr. Fletcher. The discussions will surely continue to rage, but there can be no doubt in the mind of any Egyptologist or educated Egyptology buff that the identification of the mummy in question as Nefertiti is balderdash (good manners prevent me from using a stronger term)." Worse was to come. Zahi Hawass, secretary general of Egypt's Supreme Council of Antiquities (SCA) labeled the idea "pure fiction." Moreover, he disinvited Fletcher from future work in Egypt. Hawass explained this action in an article in the newspaper Al-Ahram: "There are more than 300 foreign expeditions currently working in Egypt, and they all follow the same guidelines. 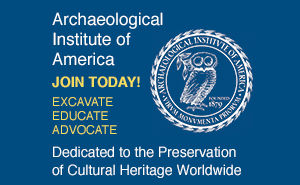 We grant concessions to any scholar affiliate to a scientific or educational institution, and it has long been accepted code of ethics that any discovery made during excavations should first be reported to the SCA. By going first to the press with what might be considered a great discovery, Dr. Fletcher broke the bond made by York University with the Egyptian authorities. And by putting out in the popular media what is considered by most scholars to be an unsound theory, Dr. Fletcher has broken the rules and therefore, at least until we have reviewed the situation with her university, she must be banned from working in Egypt." This action was attacked in a London Times article, prompting another response by Hawass in which serious questions were raised concerning Fletcher's training. That was all a year ago, but in the forthcoming Search for Nefertiti Fletcher does nothing to address the criticisms leveled at her identification, as presented in the documentary, or discuss the controversy it generated. And there are other gaps, of which the most important are 1) little is said of results from her team's studies, and 2) the lack of acknowledgment of earlier work by other scholars. The criticisms and omissions are discussed below, but the quick take is that while The Search for Nefertiti will likely be a commercial success, it cannot be recommended. The mummy in question was found in 1898 in a sidechamber in the tomb of Amenhotep II, which is designated KV35 in the numbering system for the Valley of the Kings. With the "Younger Woman" (as it is known) were two other mummies (a male youth and the "Elder Woman). All three had been partially dismantled by looters. In another sideroom were nine royal mummies that had been taken from their original tombs and been rewrapped and moved to KV35 by 20th Dynasty priests. Two other mummies, that of Amenhotep II and a unidentified male, and two skulls complete KV35's human inventory. In June 2002 and in February 2003, Fletcher was able to examine the three mummies--Elder Woman, youth, and Younger Woman (her Nefertiti). The second time, she came with a group that included x-ray specialists, and colleagues with mummification and human remains interests, plus the Discovery film crew. Fletcher's evidence for the identification comes from these visits, her study of a wig found near the Younger Woman back in 1898 and now in the Cairo Museum, and her familiarity with earlier scholarship on the mummies, KV35, and the 18th Dynasty. How does the evidence stand up? Fletcher says that the wig she examined in Cairo is of a type known as "Nubian" that was favored by the royal women in Akhenaten's court, including Nefertiti. James counters (in KMT) that the association of the wig and the mummy is not proved, and, furthermore, that use of this type of wig was broader and over a longer period than Fletcher suggests. James notes that among those shown wearing Nubian wigs are Amenhotep III (Nefertiti's father-in-law) and a female dwarf represented in Tutankhamen's tomb (later in date than Nefertiti). According to Fletcher, another important clue to the identification is that the one ear remaining on the Younger Woman's mummy has a double piercing. This, she says, matches representations of Nefertiti. James points out (in KMT), however, that the mummy of Thuyu, a noblewoman but not royal, had double piercing. She was Amenhotep III's mother-in-law, and that's two generations before Nefertiti. For all we know, double-piercing may be even earlier; Aidan Dodson (also in KMT) notes that we have no representations of a royal woman's ears during reigns of Thutmose IV or Amenhotep II. Does the position of the Younger Woman's arms indicate she was a queen, as Fletcher maintains? Queen Tiye, wife of Amenhotep III and Nefertiti's own mother-in-law, is depicted with her right arm by her side and her left arm crooked over her chest, the hand clenched and holding a royal fly-whisk scepter. (The arms of the Elder Woman are in this pose, one of the reasons Susan James has suggested it is Nefertiti's mummy.) As preserved, the Younger Woman has her left arm at her side, but her right arm is twisted and broken off at the shoulder. There are in the KV35 sidechamber two fragmentary right arms. One of these, which Fletcher says is more likely to belong to the Younger Woman, has a clenched hand, as if holding a scepter. Thus, the woman was a queen, and that suggests Nefertiti. James correctly notes that the sides are reversed from the depictions of Tiye. And Mertz comes down hard: "...queens are not the only women who are shown with the left arm bent; to mention only a few examples, there are the wooden statues of the ladies Tuya, Tuti and Henettawi, all dating to the Eighteenth Dynasty. ...To use this arm position as a criterion in the identification of royal females seems to me methodologically unsound." What could have been the most interesting part of The Search for Nefertiti was the results of the x-ray imaging and physical examination of the three bodies in the side chamber. Unfortunately, other than supposed evidence for the Younger Woman being Nefertiti, discussion of this is limited to some comments on apparent similarities in the mummification techniques (for example the brains left in the skulls) and notice of a hip injury to the young male. Fletcher's description of damage to the Younger Woman's mummy is frustrating. There is damage caused after death, undoubtedly by looters (as James and others suggest) rather than by vengeful priests attacking the mummified remains of Nefertiti because she was complicit with her husband Akhenaten in his attack on traditional religion (Fletcher's interpretation). Moreover, we hear little of her team member Don Brothwell's assertion that damage on the ribs is consistent with trauma caused by a knife wound. There is some speculation, yes, but no photographs or differential diagnosis (how can we tell it is a pre-death knife wound as opposed to something else?). Perhaps nobody was more surprised to hear of Fletcher's supposed breakthrough identification than Marianne Luban. That's because back in 1999 Luban posted on the web an article titled "Do We Have the Mummy of Nefertiti?" In it, she presented her own arguments--many the same that Fletcher later used--that the Younger Woman was Nefertiti. Luban recalled for ARCHAEOLOGY her reaction on seeing a report of the identification: " I checked the webstats regarding the article that I have had online since 1999...and saw that there had already been an incredible 35,000 visits to this site.... Myself and a couple of others wrote letters of protest to the London Times, the publication that had done the series on Fletcher and her 'discovery' and were not only given short shrift but nasty emails in response. I also wrote to Discovery Communications, advising them that Fletcher had discovered nothing and that their upcoming documentary on Nefertiti, starring her [Fletcher], was based on a false premise. I heard nothing from them--and then decided to file a lawsuit against them. I asked for an injunction against Discovery Communications but the court denied that. So the documentary was shown and when I saw it and the negative response it engendered I concluded that no one who knew anything about the subject could take this film seriously. So I dropped the lawsuit." What is important to note is that Luban's identification of the Younger Woman as Nefertiti was no secret before, and certainly not after the documentary was broadcast. Her work was noted in the KMT reaction to Fletcher's identification and on at least one e-mail list devoted to Egyptology. "The lawsuit against Discovery commenced last summer  and I don't doubt she was advised of that and has also seen the many websites that now acknowledge the theory belongs to me a priori," says Luban. "But she continues to ignore all that and simply proceeds as though my contribution can be viewed as null--a stance that is contrary to all academic publishing guidelines and rules of conduct, where it is de rigueur that 'credit must be given where credit is due. '...Months ago I wrote to the legal department of Fletcher's American publishers warning them of all this--but also received no reply." There are two possible explanations. Perhaps the book manuscript was recently completed and Fletcher just didn't care. Alternatively, the book was completed at the time of the broadcast--even begun before?--and in the intervening year no update was undertaken for whatever reason. In either case, the result is a missed opportunity on many levels. Meanwhile, The Search for Nefertiti will advance Fletcher's interpretation--rejected for good reason by most scholars--and will leave in its wake a misinformed public. And Nefertiti? There's simply no reason why her mummy must have survived. It could well have been destroyed long ago. Mark Rose is executive and online editor for ARCHAEOLOGY.